Product contains milk, peanuts, wheat, egg, soy, almonds, pecans, hazelnuts, Brazil nuts, macadamia nuts, pistachios, and cashews. Produced in a facility that also processes egg and other tree nuts (coconut, walnuts). Celebrate the special Valentine in your life with this bountiful collection of sweet and savory treats! 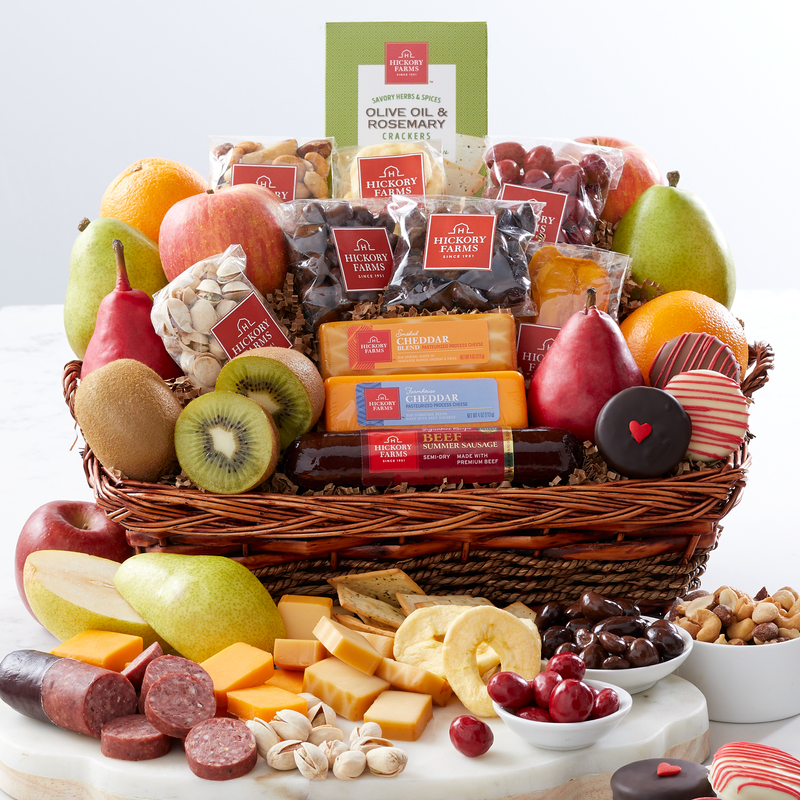 This basket is packed with our Signature Beef Summer Sausage, classic cheeses, and crackers to stack up delicious bites. Plus, a selection of fresh fruit, nuts, chocolate cherries, chocolate covered sandwich cookies add plenty of sweetness and flavor to this gift.